In-depth coverage for football, tennis, cricket, basketball and hockey means you can follow your team no matter what sport, competition or league they play in. You can also get the latest breaking sports stories in the ‘news’ section. LiveScore’s reputation for being fast and reliable means it’s the perfect app for every sports fan. 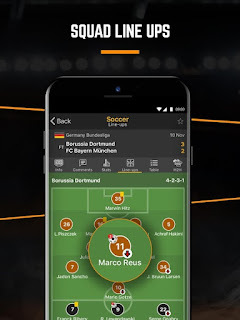 Whether you’re into Premier League, La Liga, Serie A, Ligue 1 or Bundesliga football, Twenty20 cricket, US Open tennis or Hockey tournaments, you’ll find out first with LiveScore. Read breaking sports news for major sports & leagues, including football’s Premier League, Champions League and La Liga. Tap the star next to any match for live notifications or favourite a league so you can quickly get to the scores and details of matches you care about. 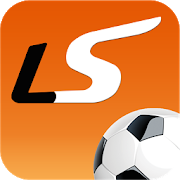 LiveScore will deliver fast updates directly to you. So when you’re having a bet, or keeping an eye on your Fantasy Football team, LiveScore will keep you up to date with the latest scores and info. 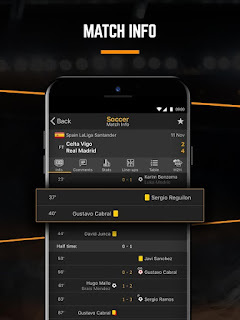 -Star a match to get alerts to keep track of what’s going on, including goals and red cards for multiple matches at the same time. It’s not just football or soccer LiveScore focuses on. From the wicket, ball and stump details in cricket’s top competitions, to point-by-point and serve updates in the biggest tennis matches on the ATP or WTA World Tours, LiveScore gives you detailed updates as if you were there. If tennis is your sport, follow your favourite players in their quest to become champions at every Challenger tournament, Masters event and each of the Slams. Check all the tournament’s results and view upcoming matches, then follow in-play commentary when the players are on court.